Primary spontaneous pneumothorax (PSP) generally occurs in young adults, whereas pediatric PSP is uncommon. 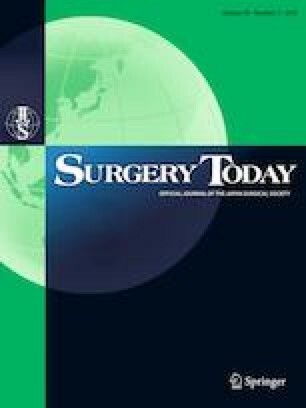 It is difficult to source reliable data on pediatric PSP, the management of which is based on guidelines for adult PSP; however, the rate of recurrence after video-assisted thoracoscopic surgery (VATS) for pediatric PSP is reported to be higher. We reviewed retrospectively a collective total of 66 surgical cases of a first pneumothorax episode in 46 children under 16 years of age, who were treated at our hospital between February, 2005 and November, 2017. The surgical cases were divided into two groups, depending on how the treated lesions were covered. In the dual-covering (DC) group, the PSP was covered by oxidized regenerated cellulose and polyglycolic acid (8 patients; 13 cases) and in the single-covering (SC) group, the PSP was covered by oxidized regenerated cellulose (38 patients; 53 cases). There was no incidence of recurrence after surgery in the DC group, but 17 cases (32.1%) of recurrence after surgery in the SC group. This difference was significant. The DC method prevented the recurrence of PSP more effectively than the SC method after VATS in pediatric patients. Long-term follow-up after VATS for pediatric PSP is also important because of the risk of delayed recurrence.